Well, it’s been a mammoth year for us here at Eventility HQ, and as the year winds down and we prepare for a period of festive hibernation, it’s time for us to recap on what we’ve been up to and what’s in-store for us in 2013. People’s Choice Award – Vote For Us! We’ve just been nominated for the People’s Choice Awards for The Europas. This prestigious award has previously been won by the likes of Wonga.com, Spotify and SoundCloud, so we’re thanks full to be on the long-list. Click here to vote for us by ‘liking’ us. Just last month we partnered with spogo – the smart new way to find sport and fitness. We provide sports club and activity organisers with powerful free organisational and promotional tools and update their listings immediately on spogo to give them the opportunity to connect with a whole new audience online. We’re really excited about working with spogo and are confident that sports club and activity organisers will see real benefits in using Eventility. For more information click here. 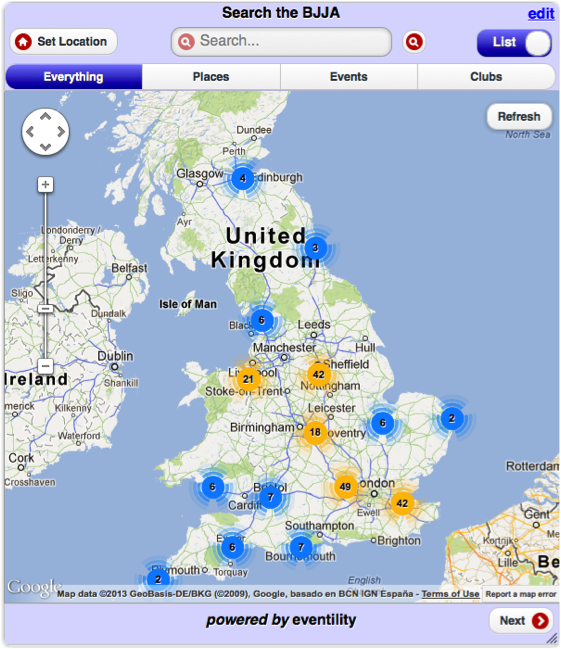 A big welcome to all the new Ju-Jitsu clubs on Eventility! Eventility joined forces with The British Ju-Jitsu Association National Governing Body (BJJAGB), who are now using Eventility to enhance engagement with their clubs and provide Ju-Jitsu club organisers with free tools to simplify the organisation and promotion of their club. Eventility is now available in the Chrome’s webstore. Click here to get a fab shortcut to Eventility whenever you open a new tab in Chrome and don’t forget to rate and review – we love 5 stars! We’re making some big and exciting new changes to the website in early 2013 to make using the site even better – we’ll keep you posted! The British Ju-Jitsu Association Partners With Eventility To Adopt Engage™, The New Online Solution For Those Managing Any Multiple Events, Places, Clubs, Groups Or Communities. 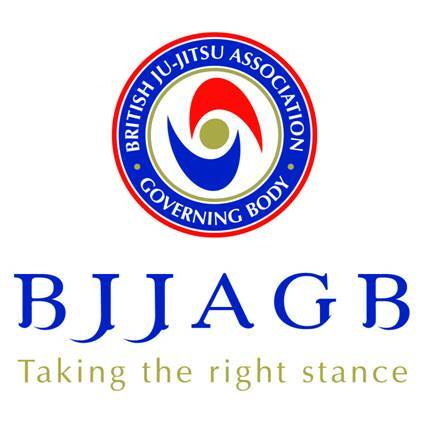 Eventility today announced its partnership with The British Ju-Jitsu Association National Governing Body (BJJAGB), who are now using the Engage solution to enhance engagement with their clubs. Engage will provide BJJAGB Ju-Jitsu club organisers with free tools to simplify the organisation and promotion of their club, allow them to collect subscriptions and sell tickets online, ensure the BJJAGB website is updated in real-time with club details, training and event listings, and report on participation in Ju-Jitsu and how it is increasing across membership. 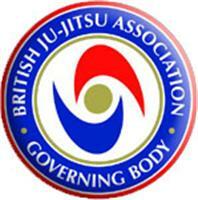 Since 1960, The British Ju-Jitsu Association National Governing Body has been providing instruction and governance to Ju-Jitsu in the United Kingdom. The BJJAGB prides itself on helping new clubs and associations to get started, whether it is in their own system of Ju-Jitsu or an established one and they now have hundreds of clubs across the UK. Engage is the groundbreaking online solution from Eventility. Designed for organisations, associations and businesses, Engage solves the headache of organising, communicating and promoting multiple events, places, clubs, groups or communities with a suite of easy to use tools. Engage helps partners connect communities, reach untapped and new contacts, deliver better service, increase revenue, save time and effort, and best of all, has practically zero implementation costs – requiring just one line of code. Engage partners link their events, places and clubs, groups, communities together, and everyone can use Eventility’s free organisational tools (Member Management, Communication Centre, Events Hub and Social Syndication), while the data is aggregated in real time to power websites or mobile apps. Engage can also provide partners with monetisation routes via revenue share and advertising revenue as well as anonymised statistics on member activities across all connected data. “The partnership with Eventility is going to be fantastic for the BJJA. Not only does it provide our clubs with an amazing free tool to help manage their clubs, events and members, but the Engage solution powering our website means we’ll always have the latest data for our members clubs and statistics to show participation across our sport.” Martin Dixon, Chairman, British Ju-Jitsu Association Governing Body. “We’re delighted that The British Ju-Jitsu Association National Governing Body have chosen to work in partnership with Eventility. With our Engage products powering their website they will be able to increase the exposure of all the fantastic Ju-Jitsu clubs and events being run around the country, helping to encourage more people to participate.” Robin Brattel, Eventility Founder and CEO.